ASC and Shedd Aquarium Working Together… read more! Throughout our history, American Steamship Company (“ASC”) has been a pioneer in Great Lakes vessel transportation. 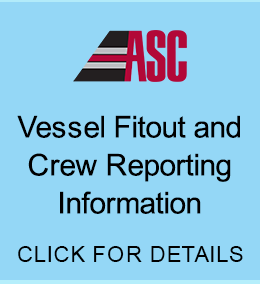 Founded in Buffalo, New York in 1907, ASC has witnessed and responded to dramatic changes in Great Lakes shipping and the industries it serves, many times leading the way with innovative solutions that have had a positive impact on Lakes shipping throughout the years. 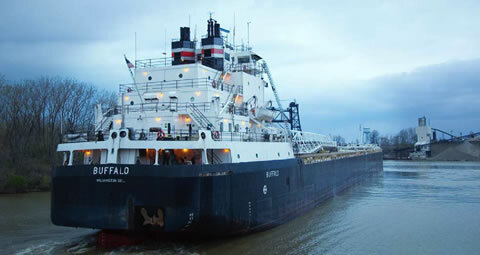 Our Great Lakes fleet consists of self-unloading vessels that range in length from 635-feet to 1,000-feet. The diversity of our asset base enables us to transport a variety of dry-bulk commodities including iron ore pellets, coal and limestone aggregates. Our single-trip vessel-carrying capacity ranges from 24,000 to 81,000 gross tons. During the navigation season, our vessels operate twenty-four hours a day, seven days a week and require no onshore assistance to unload cargo. Unloading speeds range from 7,000 to 10,000 net tons per hour. Today, under the ownership of GATX Corporation, ASC continues to provide safe, efficient and environmentally responsible waterborne transportation. We are dedicated to continuously building value for GATX, our customers, our employees and the communities in which we live and operate.